The translations of four of the AUC Press Nature Foldouts were compiled into one book: Egypt’s Wildlife, Past & Present, thanks to translator Yasmine Motawy, Richard Hoath, and funding from the US Forest Service. Now available in bookstores throughout Egypt! 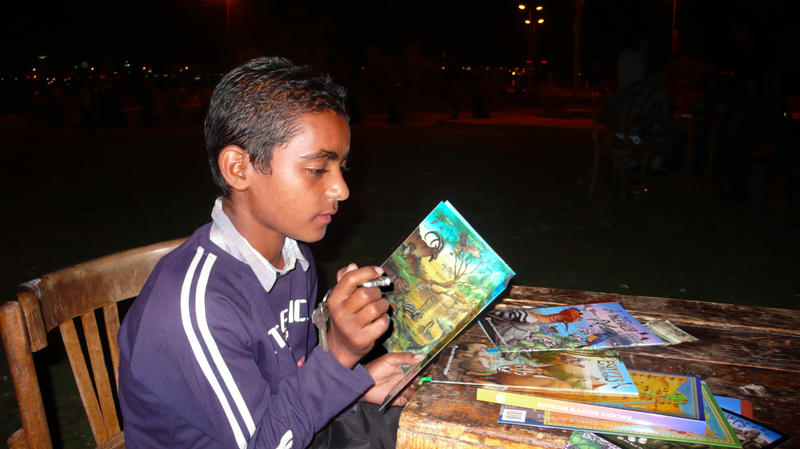 Photo of my friend Braheem in Luxor, reviewing copies of the AUC Press Nature Foldouts in Arabic.